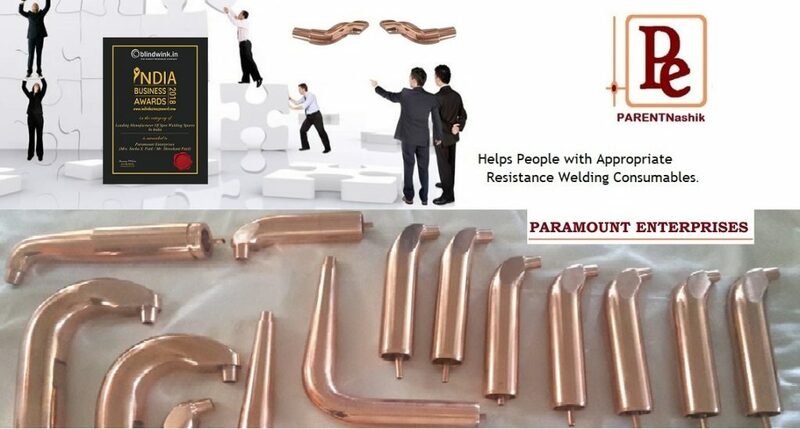 PARENTNashik – Resistance Welding Weldparts Winner Of India Business Awards 2018Nashik, India, 2018-Jul-13 — /EPR Network/ — Paramount Enterprises located in Nashik – India, pleased to announce that they won India’s prestigious award – India Business Awards 2018 in category – Leading Manufacturer Of Resistance Spot Welding Spares, Consumables In India. Soha Ali Khan, Bollywood Actress was the Chief Guest for the event who gave away the award certificates and trophies to the title holders in their respective categories. Award ceremony was held at Taj hotels in Bangalore on 24th, June 2018 felicitation by bollowood actress Soha Ali Khan. Award received by Shreekant Patil and Sneha Patil – Founder & CEO at Paramount Enterprises, delivered a speech explaining about company, products & achievements. Then Shreekant has congratulates and thanks to team and management at PARENTNashik. PARENTNashik is a brand to help you find resistance welding consumables, weldparts spares, projection welding electrodes at OneStop for your spot welders and robotic welding backed by manufacturer – Paramount Enterprises located in Nashik – India.